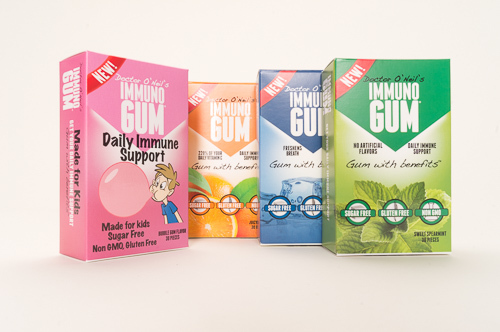 , the largest angel investor group in the United States The investment will support Immuno Gum’s rapid domestic and international sales growth. This “Gum with benefits®” is gluten free, non-GMO, sugar free, and is available with no artificial sweeteners. Each product has a patent-pending herbal blend that includes Vitamin C, Echinacea, and Zinc. The company also offers a Vitamin-C only gum with 220 percent of the daily-recommended C. Because it’s a gum, the ingredients coat the throat for superior efficacy—better than competing drink powders or nasal sprays. 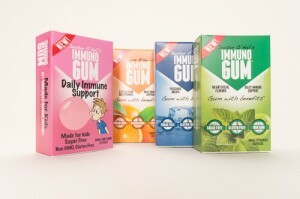 Immuno Gum® is sold in five, 10 and 30-piece packs of Fresh Spearmint (no artificial sweeteners), Cool Mint, Juicy Citrus (Vitamin C only) and Bubble Gum (specially formulated for kids). , since 2013. Chicklabs, LLC and Immuno Gum® are both led by Kirsten Mangers, who holds a duel role as CEO and president of both companies. The investment is the largest of its kind at a start-up launching from Chapman University. Chicklabs’ unique business model invites entrepreneurs to its campus offices and launches businesses from within the campus environment. “Chapman University and its Leatherby Center for Entrepreneurship and Business Ethics are proud to support the efforts of Chicklabs as it brings real-world business management onto the campus, adding to our culture of success,” added Dean Reggie Gilyard of the Argyos School of Business and Economics at Chapman University.